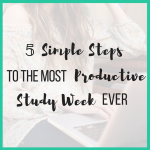 As a student, you have to study for hours and hours (and hours) each week which means there’s quite a lot of wiggle room to seriously improve how much you can get done. 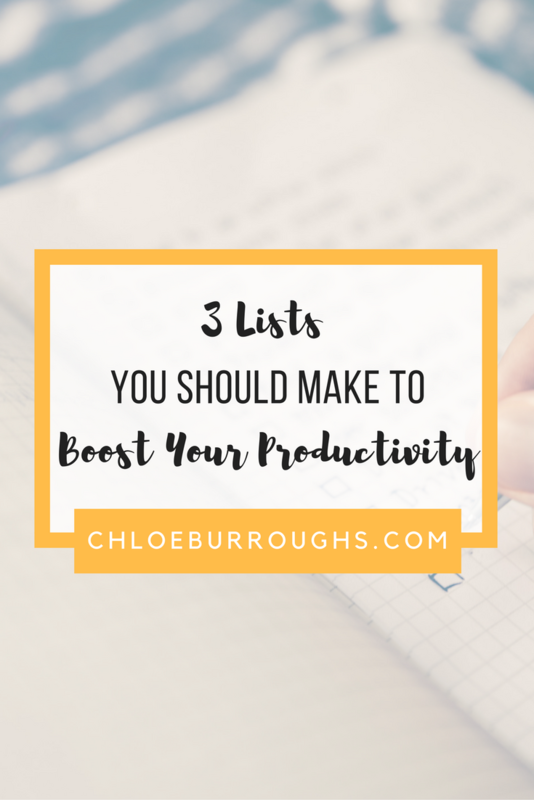 If you can find a few effective ways to boost your productivity you could achieve so much more with your time. 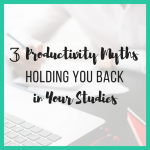 Ultimately, if you boost your productivity you will be able to spend less time studying…and more time relaxing! How to make sure your most important study tasks get done. Download my study planner to put these lists into action and skyrocket your productivity. Now who doesn’t love a to do list?! I love writing them and it’s just so satisfying crossing a task off. *guilty secret* sometimes I add a task I’ve already completed just so I can cross it off! So, task lists are important. But you need to make sure you’re working out your priorities too – the tasks you MUST get done. So next time you sit down to study, ask yourself this – what are the tasks I need to do to make this day a success? Those should be the ones you tackle first. 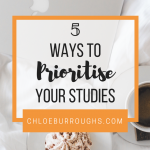 If you don’t identify your priorities it’s very easy to fill your day with unimportant tasks – hello cleaning the bathroom when you have an essay due tomorrow! There are a few different ways you can make a priorities list. One good way is to spend a few minutes each evening thinking about your 1-3 priorities for the next day. Write these down on a sticky note and stick it to your desk or your laptop screen. Then, when you sit down to study the next day you’ll know which tasks to focus on first. Another way to record your priorities is by using my study planner. 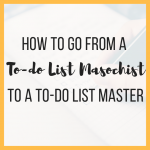 There’s space to list all your tasks for the day but then you’ll be prompted to highlight your 1-3 priorities so you can remember to spend most of your time on those. Boost your productivity by knowing what to focus on first, and getting those important, move-the-needle tasks completed. When you’re studying, random thoughts and tasks will pop into your head. You’ll remember that you need to call the bank and text your Mum back. You’ll start thinking about your meal out tomorrow and wonder if you should check out the menu on the restaurant’s website. Now you don’t want to forget these tasks so what do you do? You stop studying and go about these tasks. But then what happens? You get distracted by something else and suddenly you’re studying is laying there forgotten. So what can you do instead? I recommend keeping a procrastination list if you want to reduce procrastination and boost your productivity. So next time you’re studying, preferably using the Pomodoro Technique, keep a sticky note or a copy of my planner next to you. When a random thought or task pops into your head, stop studying for just a second and write it down. The task is now recorded and you can get back to studying knowing you won’t forget the task. Learning to control your procrastination and not respond to distractions will help you stay focused for longer which gives you a massive boost to your productivity and the amount of studying you can get done. Studying often feels never-ending. As soon as you finish one textbook another one needs reading. As soon as you submit one essay it’s onto the next one. Now, it’s important to look forward in your studying so you can keep that end goal in mind. But this tunnel vision can get tiresome and demotivating. If you don’t look back you’ll never appreciate how far you’ve come and how hard you’ve been working. So I recommend keeping an achievements list to help you boost your productivity and motivation. 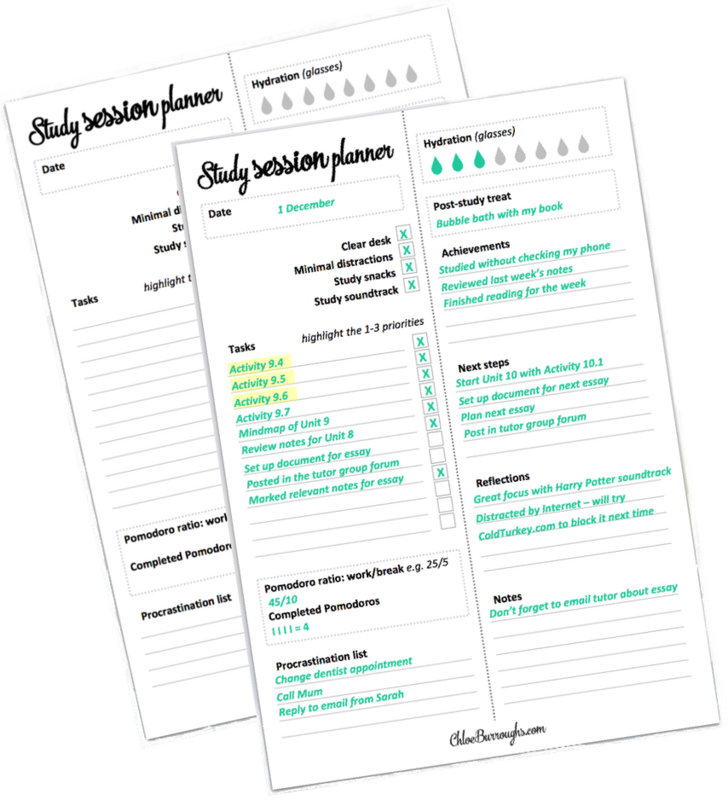 Download and print my study planner which has space for you to record your achievements each study session. 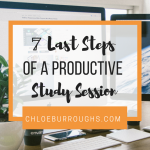 Spend a few minutes at the end of each study session listing the tasks you’ve completed. I want you to look back at this list and feel proud of your achievements. Our progress often feels so small in our studies and it’s normal to feel like you’re not getting anywhere. But when you look at this list, big or small, you’ll be reminded that however slow your progress feels, you’re still moving forwards. You’ll notice a big boost in your productivity as you’re motivated to keep studying and complete more tasks. Yessss I love how you make it so simple and easy to do yet these are the most important things we tend to forget. Hey there, I’ve a query, may require some assistance from you. I’ve been struggling with college a good deal lately and was hunting for any resolution. But I am not positive if it really is ok to use it or not, appears kinda fishy. The solution for struggling should never be to ask someone to write an essay for you. Chances are these will be poor quality, plagiarised and if you’re caught you could be disciplined by your college and maybe even thrown out. Also, paying for an essay doesn’t actually solve the problem, it just masks it. Instead you should work on improving your current essay writing study skills. 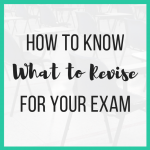 Here are some of my blog posts which can help you.